Of all the Star Wars films of the Disney area, none has been plagued by such public behind-the-scenes problems as Solo: A Star Wars Story. The second standalone Star Wars adventure, following 2016's Rogue One, Solo was originally to be directed by Phil Lord and Christopher Miller (The LEGO Movie, 21 Jump Street). But after some creative differences with producer Kathleen Kennedy, the pair was fired despite having nearly completed filming. Kennedy brought on Ron Howard to complete the film, who re-worked and re-shot much of it to adjust the Lord and Miller's more improvisational, comedic tone. Yet Howard is a capable professional, and having worked with both George Lucas and Harrison Ford on American Graffiti in 1973, was perhaps the filmmaker best suited to take on this project all along. He, along with screenwriters Lawrence Kasdan (who co-wrote The Empire Strikes Back and Return of the Jedi) and his son, Jonathan, return to the series' storied past to tell the tale of young Han Solo (Alden Ehrenreich), making his way as an outlaw on his home planet of Corellia, and in the process push any thought of the production's troubled history out of mind. After he is separated from his love, Qi'ra (Emilia Clarke) during a failed escape attempt, he vows to return one day to rescue her. His plans get sidetracked when, after joining the Imperial Navy in order to become a pilot, he finds himself in the company of a band of outlaws led by Becket (Woody Harrelson), who recruits him and his newfound friend, Chewbacca (Joonas Suotamo), to help him raid a fuel train before it can be stolen by a rival bandit known as Enfys Nest (Erin Kellyman). His partnership with Becket soon lands him in hot water with Becket's boss, Dryden Vos (Paul Bettany), who instructs him to pull off a nearly impossible heist on the mining planet of Kessel, or face the full fury of his intergalactic crime syndicate, Crimson Dawn. Solo carefully charts the renowned rogue's back story, showing us how he meets his best friend, Chewbacca, how he was given his last name, how he won the Millennium Falcon from Lando Calrissian (Donald Glover), and how he made the infamous Kessel run in less than 12 parsecs. 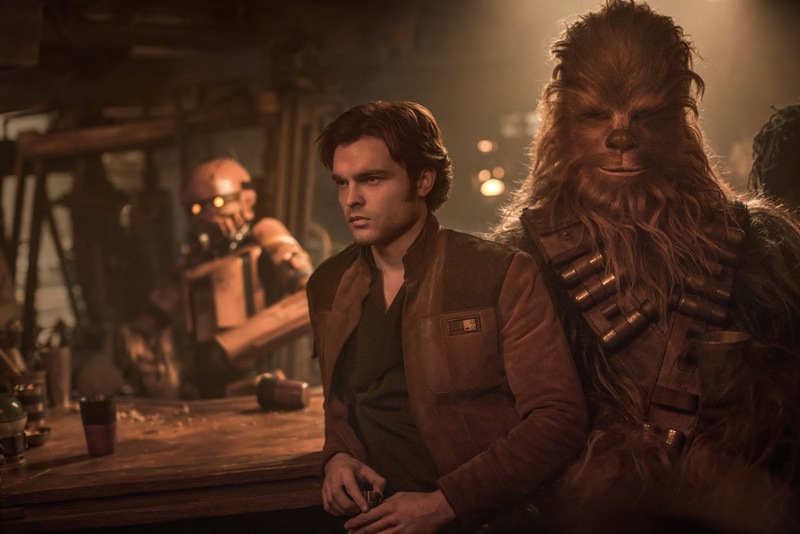 Much of this is fan service, of course, but what is so refreshing about Solo is that it isn't attempting to be a grandiose space opera in the typical Star Wars tradition. There's no mention of the Force, no lightsabers, no sense of mythical destiny, the fate of the galaxy is not at stake; rather Solo is an old-fashioned heist movie, a kind of western set in space (which is what the original Star Wars was meant to be). It's a refreshingly small-scale film, or at least as small scale as a Star Wars film can be. Howard isn't so much interested in moving the pieces where they need to be for the next film (although the ending offers tantalizing possibilities for future sequels), he's more concerned with showing the audience a good time, and in that regard he delivers in spades. Ehrenreich can't quite fill Harrison Ford's shoes, but then again, who can? 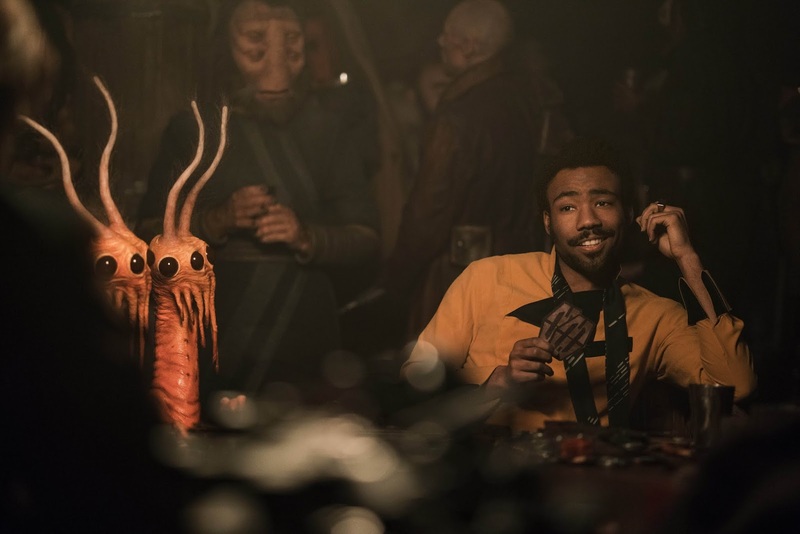 He does an admirable job of capturing the spirit of Han Solo as well as Ford's iconic performance, while Glover brings some entertaining new shades to Billy Dee Williams' suave swindler, Lando Calrissian (can we have a Lando movie next?). Perhaps the film's greatest strength, however, is John Powell's score. Working from a jaunty new Han Solo theme by John Williams, Powell delivers thrilling musical accompaniment to Han's early adventures. Even though we mostly know the outcome here (we already know where Han ends up in a few years at the beginning of 1977's original Star Wars), but Howard and company manage to provide enough surprises to keep us on the edge of our seats (a World War I inspired battle sequence early in the film is especially ingenious). The film is set in a time where Imperial rule is pretty much accepted fact, and as such the film is mostly unconcerned with the greater goings on in the galaxy. There's something refreshing about a focused, small-scale adventure set in the Star Wars universe, and while Solo doesn't necessarily chart a bold new course for the franchise, it marks a welcome departure that is at once familiar and yet not quite like any Star Wars film we've seen before, taking it back to its Saturday matinee serial roots with a sense of breezy adventure and devil-may-care charm. 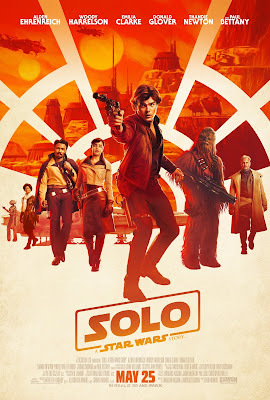 SOLO: A STAR WARS STORY | Directed by Ron Howard | Stars Alden Ehrenreich, Woody Harrelson, Emilia Clarke, Donald Glover, Joonas Suotamo, Paul Bettany, Phoebe Waller-Bridge, Thandie Newton | Rated PG-13 for sequences of sci-fi action/violence | Now playing in theaters everywhere.